I hope you're having an amazing start to your weekend! It's not looking the nicest here, but hopefully that will change by the afternoon. We have a weekend planned and everything on the list is an outdoor activity, so we're counting on you weather! Last night turned into such a gorgeous evening so we decided to go for a casual dinner in the area. It was such a relief to finally have a weekend after a never-ending week. The plan was to have a long sleep-in today but of course my brain had other ideas. Oh well -- might as well get the day started! I really felt like being relaxed last night after a week of uncomfortable work clothes, so I went straight for my favourite tee. I'll wear this thing any chance I get and of course this skort is on heavy rotation. I think I need to get it in other colours because this item is about to be seriously over-worn. love this look!!! i talk on my post! I love your skort!!! great look! love your shoes! amazing colour! Love that its chic and causal with the tee. 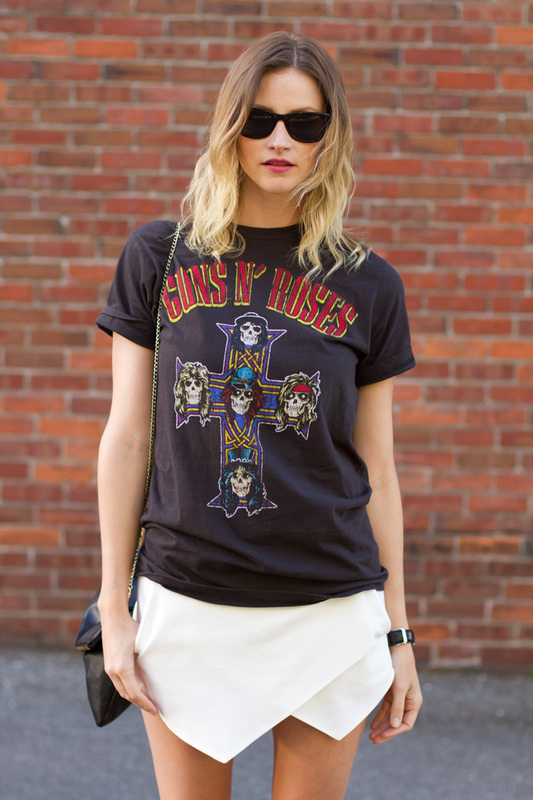 Love this slightly rock 'n' roll look and love all the ways you've been styling your skort! 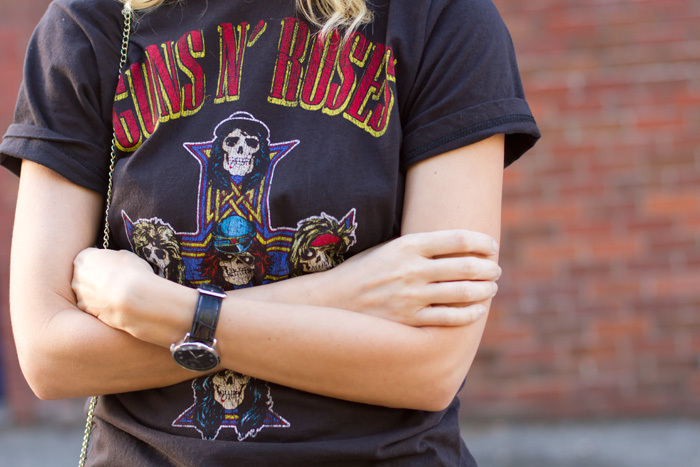 Nice rock chic combination. Looove your heels.